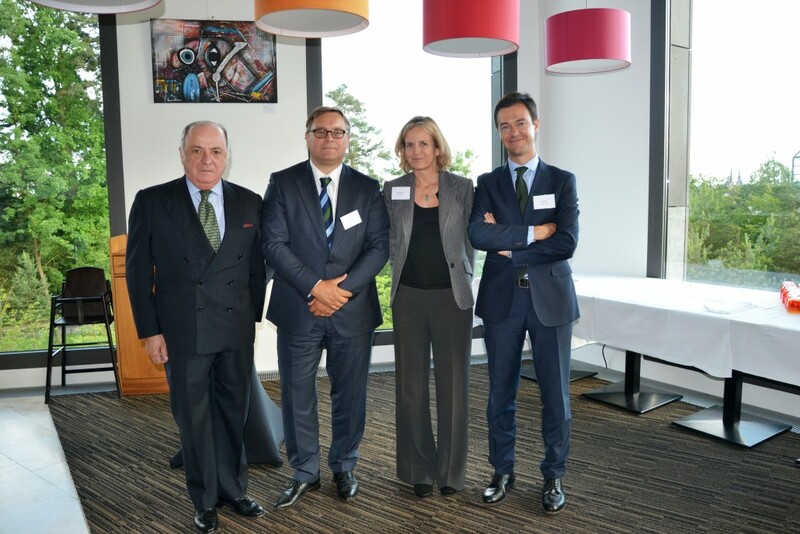 June 16th, Intertrust Luxembourg organized the conference “Structuring investments in & with Spain”, in collaboration with the Official Spanish Chamber of Commerce in Belgium and Luxembourg. 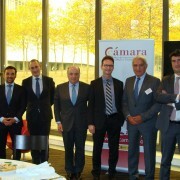 The Ambassador of Spain in Luxembourg, Mr. Carlos de Lojendio, and many other representatives of the financial sector and other complementary services attended this event. 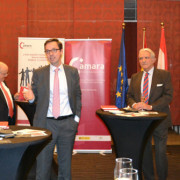 Sergio de Miguel-Jessel, Vice-president of the Official Spanish Chamber of Commerce in Belgium and Luxembourg, gave a welcome speech, presented the conference’s program, and introduced the speakers to the audience. In addition, he also thanked Intertrust for the collaboration with the Chamber in the organization of the event. Rafael Calvo, associated of Garrigues, talked about investing in Spain from Luxembourg taking into account the actual fiscal scenario. He made an overview of the nowadays economic factors that contextualize the Spanish market of the multinationals opening a debate about “planning” and tax evasion. Furthermore, the speaker pointed out the principal factors that damage the international structural investments as the double imposition. To end up, Mr. Calvo mentioned the nowadays principal initiatives of the OECD, G20 and EU, like the directives of the package “anti-tax avoidance” as an attempt to correct the errors previously cited. In the second part of his speech he focused on the valid legislation of Spain when it comes to approved regulations to mitigate the tax barriers. He concluded proposing possible solutions to the problem such as an initial “filtering” of the structural investments. 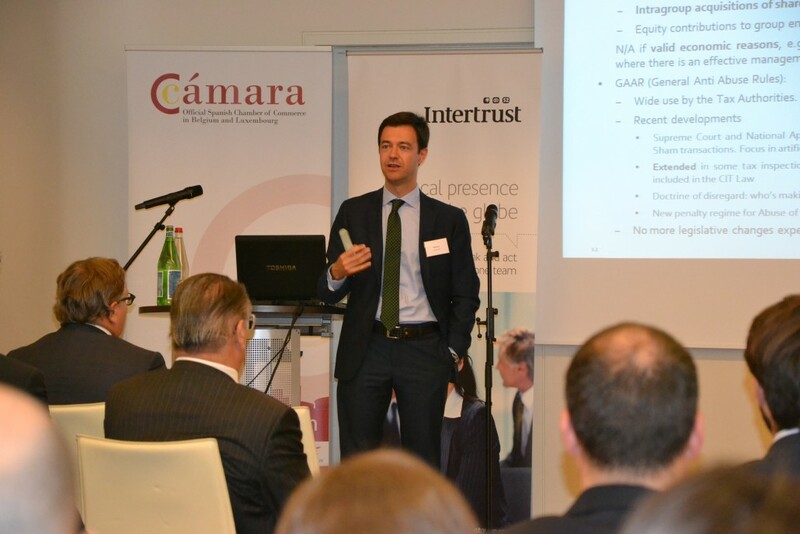 Later on, Frank Welman, General Director of Intertrust Luxembourg, highlighted the most characteristic factors of the fiscal market of Luxembourg, as well as a varied offer of products and financial services and their fiscal and political stability. 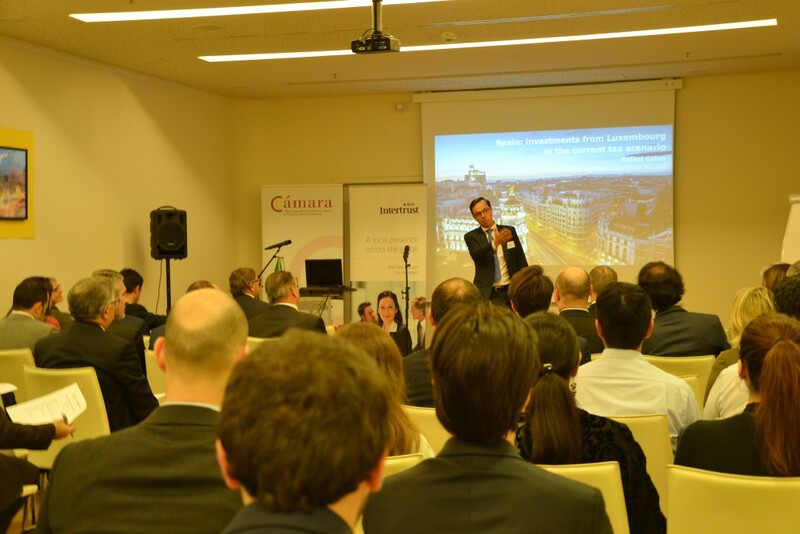 He presented a general vision of Intertrust Luxembourg emphasizing their costumers database in Europe and Latin-America, where the second biggest office of Intertrust is located. 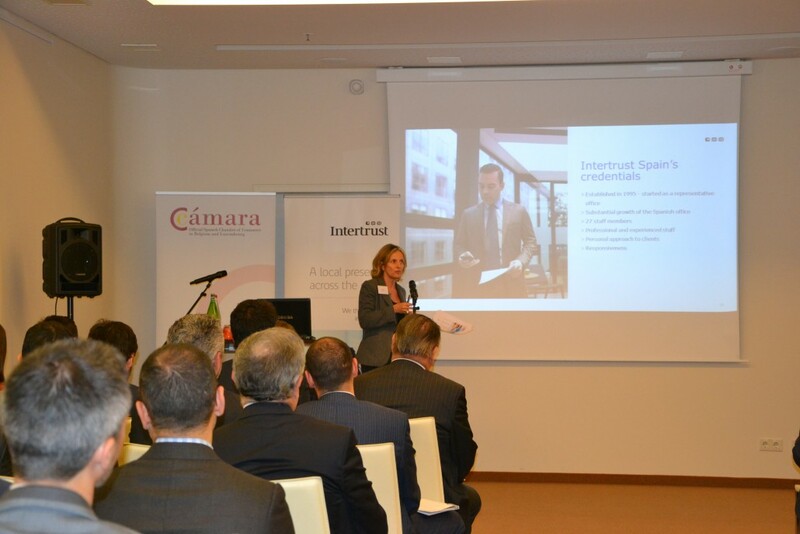 Carmen Rozpide, General Director of Intertrust Spain, started pointed out the added value of the Spanish office of Intertrust Spain as a business gateway to make business with Latin-America. She went through the history of the Intertrust office in Spain since it was established in 1995; she highlighted its proximity to the client. Mrs. Rozpide focused on the diversity of the activity sectors of the clients of Intertrust Spain and their adaptation capacity towards new challenges, ensuring a personalized service adapted to each client. To end up, Sergio de Miguel-Jessel opened a round of questions in which the audience had the opportunity to get their questions answered by the speakers. During the conversations, it was raised the possibility of a change concerning the Spanish fiscal scenario as a consequence of the actual political uncertainty. 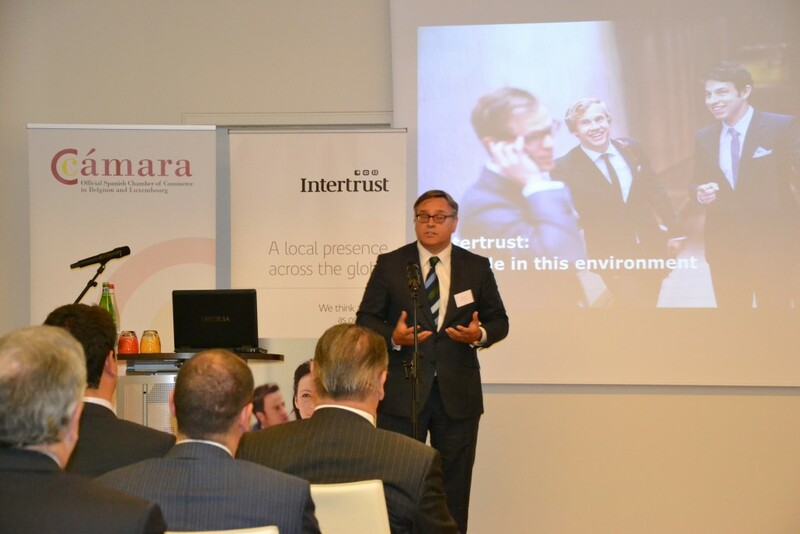 Juan Rodríguez-Villa Matons closed up the event expressing his gratitude to Intertrust and to the audience. After the conference, the participants enjoyed a cocktail and had the opportunity to Exchange opinions about the subjects earlier discussed. Awesome Flickr Gallery Error - Gallery ID 36 has been either deleted or not configured.